After a long day of work, there is no better way to relax then to rest to the tunes of relaxing music. With the Belkin Bluetooth Music Receiver, I can easily plug it into the home stereo or any speakers and control my playlist using my iPhone, iPod right from the comfort of my sofa. 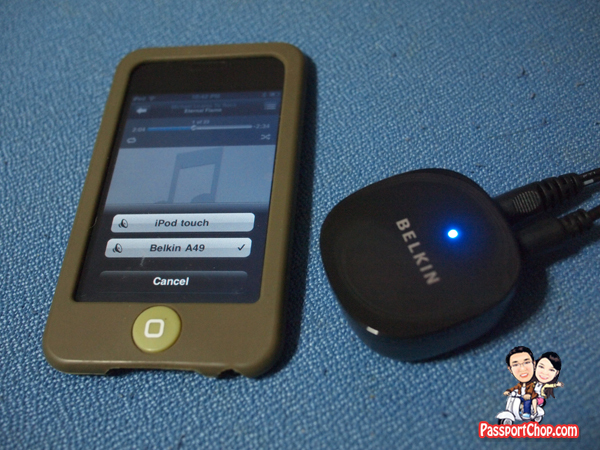 The best thing is there is no need for bulky equipment and messy wires – the Belkin Bluetooth Music Receiver is just a small cube connected to my iPod/iPhone by Bluetooth. This is just an example of how Belkin had designed its product to address both functionality and style. 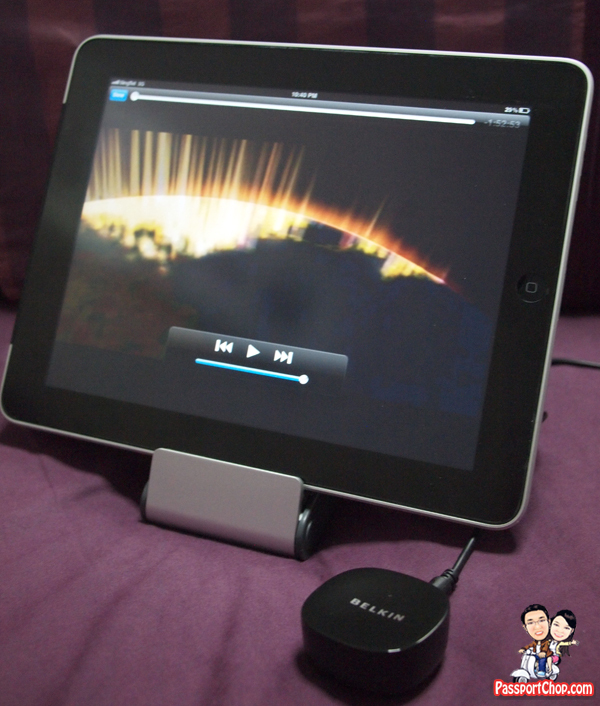 Besides music, I can also hook up my iPad to catch the latest movies and at the same time enjoy reliable and high-quality surround sound music through the Belkin Bluetooth Music Receiver’s connectivity to my home stereo. Using another Belkin’s product – the FlipBlade which is a compact and portable stand, I am able to stand my iPad at a comfortable angle without worrying about it toppling over and at the same time, totally hands-free for me! Holy Toledo, so glad I checked on this site first! Does it have to be plugged into the wall or can it get power from the 3.5/RCA cable that plugs into your stereo? In the first picture I see that there are 2 cords coming out the back. In the second picture there is only 1 cord coming out. I’m kind of confused, but would like to buy one.